(MoneyWatch) Ka-ching. That's what Paddy Power is thinking after the Irish gambling operation dispatched Dennis Rodman to Vatican City to rally the unfaithful to place their bets on who cardinals would elect as the new Pope. "It's the biggest non-sports market in Paddy Power history," said Rory Scott from Italy, a spokesman for Paddy Power who accompanied Rodman on his trip to the papal conclave. "It's huge. We're taking in a heavenly amount of money on this." The bookmaker had accepted about $1 million worth of bets on the papal race before Cardinal Jorge Mario Bergoglio, or Pope Francis as he'll be called, was announced Wednesday as the new pontiff. The choice of the Argentinian cleric could cut into Paddy Power's profits -- among the possible candidates for pope, Bergoglio's was a long-shot, with Paddy Power offering odds on his election of 33/1. 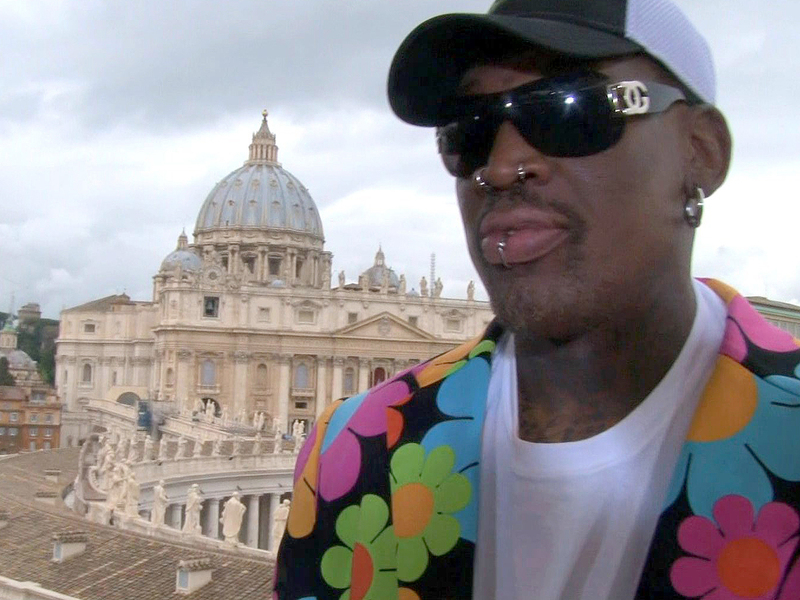 Some media and branding experts have dismissed Rodman's trip to the Holy See and his recent meeting with North Korean leader Kim Jong Un as pure PR stunts. Rodman traveled to North Korea earlier this month, ostensibly to engage in "basketball diplomacy." His trip, which also has drawn fire from some critics, was sponsored by New York media firm Vice Media to promote a TV show the company is making for HBO. "It's a gimmicky media ploy," said Jill Hamilton, head of Paris-based branding firm JHB Consulting, of Paddy Power's use of the ex-NBA star to generate attention. "When it comes to branding there's a certain authenticity that's required. If you want to cultivate a powerful and enduring brand, you need to it to be credible if you expect to have any lasting impact. But this seems like a cheap tactic." Paddy Power might not entirely disagree. The company, one of Europe's biggest gambling outfits, has staged a number of similar media events to promote its services, and it prides itself on its unconventional marketing campaigns. During the 2012 Ryder Cup golf tournament, for example, a competition that pits top U.S. golfers against a team of European pros, the firm hired a plane to write "sky tweets" taunting the Americans. In another stunt last year, Danish soccer star Nicklas Bendtner pulled down his shorts after scoring a goal in a game during the European championships to reveal emerald green underwear featuring Paddy Power's name. The company also generated headlines after the death of John Paul II in 2005 when it set up a bookies stand in St. Peter's Square in Vatican City to take bets on the next pope. "We've built our reputation, our name and our positioning on these kinds of stunts," Scott said, noting that people have been placing wagers on papal succession for centuries. "This is about as old as the conclave." Dennis Rodman: Next pope "will be black"
If Paddy Power has gotten any negative publicity for its latest stunt, Rodman himself is unlikely to suffer, said Jennifer Cohan, chair of the global consumer practice at PR firm Edelman. "From Dennis Rodman's standpoint, his brand has always been outrageous, unexpected, iconoclastic. If his goal was to be part of the conversation in ways that are relevant to his brand, then mission accomplished." Paddy Power isn't done with the papacy yet. Now that the Catholic Church has a new spiritual leader, the gambling firm is taking bets on where the former Pope Benedict XVI will live by year's end, what country Francis I will visit first and even on whether the new pope will resign. The current odds on the last wager are 5/2.